424 pages | 224 B/W Illus. Preparative Layer Chromatography explains how this method is used for separating large quantities of mixtures containing a wide variety of important compounds. It offers a broad review of preparative layer chromatography (PLC) applications and adaptable working procedures for microseparations involving organic, inorganic, and organometallic compounds. The book contains theoretical background, chemical principles, and relevance of preparative layer chromatography (PLC) to a wide range of applications, particularly in the study of pharmaceuticals and biochemistry. Written by many of the best known and most knowledgeable specialists in the field, the chapters describe all the necessary techniques, current procedures, and superior strategies for selecting the most suitable eluents and designing application-specific PLC systems based on the data being sought. They provide comprehensive instructions, surrounding issues, and suggestions for optimizing optional working techniques within the framework of PLC. The book also provides a complete coverage of bulk sorbents and precoated chromatographic plates available on the international market. A comprehensive, yet accessible source of information, Preparative Layer Chromatography is a relevant and practical text for experienced as well as novice researchers and practitioners involved in analytical, environmental, geochemical, biological, medicinal, and pharmaceutical analysis. 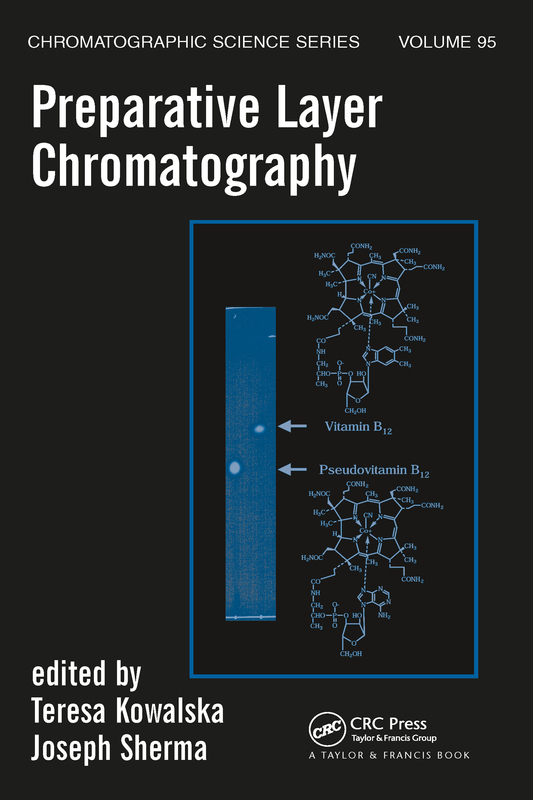 "…A valuable and important supplement to the existing vast chromatographic literature, [this book] demonstrates the potential of planar chromatography for separation and isolation of pure compounds, even from very complex mixtures." "The contributor[s']…experience integrated in the monograph forms a good basis for the readers." "The [first] eight chapters provide sound theoretical and methodological foundations of PLC. Numerous applications of PLC are reviewed in the second section, based on extensive literature. …The application reviews provide numerous examples of solving experimental difficulties for the separation of complex mixtures." "The book is quite well produced and has a large number of illustrations . . . this volume is a worthy addition to the PLC literature, and a good place to start for the novice."